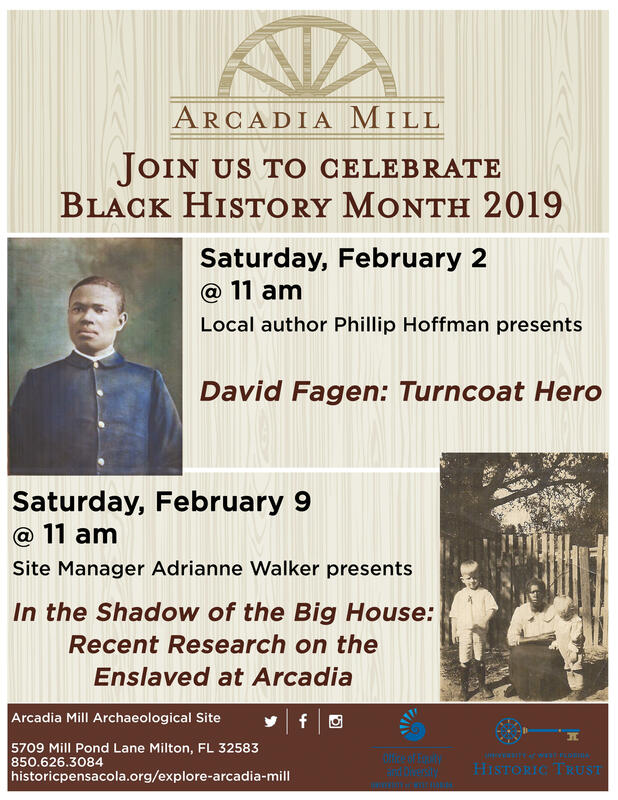 The Arcadia Mill Archaeological Site in Milton is celebrating Black History Month with two public programs. The first presentation this Saturday, Feb. 2 features the true story of an African-American ‘Buffalo Soldier’ from Florida and his journey to becoming a traitor and a hero. Local author and historian Phillip Hoffman chronicles the story in his new book, David Fagen: Turncoat Hero. Half the crew are like Fagen, earning a buck a day. The other half are black prisoners, referred to as leased convicts, who work for just a couple pots of beans a day. “He’s aware by that time that life is awfully rough if you’re black and American,” said Hoffman of Fagen’s circumstance. However, by this time in American history, black soldiers known as “Buffalo Soldiers” were the most experienced combat troops in the U.S. Army and, as a result, they were recruited to fight the Spanish in Cuba at Santiago. One of the four black regiments of the day just happened to be based in Tampa. “All of a sudden, there are 4,000 black soldiers carrying rifles and pistols wandering around Tampa city proper and they come from the far West where they are admired and loved because they were protecting whites,” said Hoffman, noting that these western blacks had not been exposed to southern prejudice. He does sign up on June 4, 1898, when he was 23. 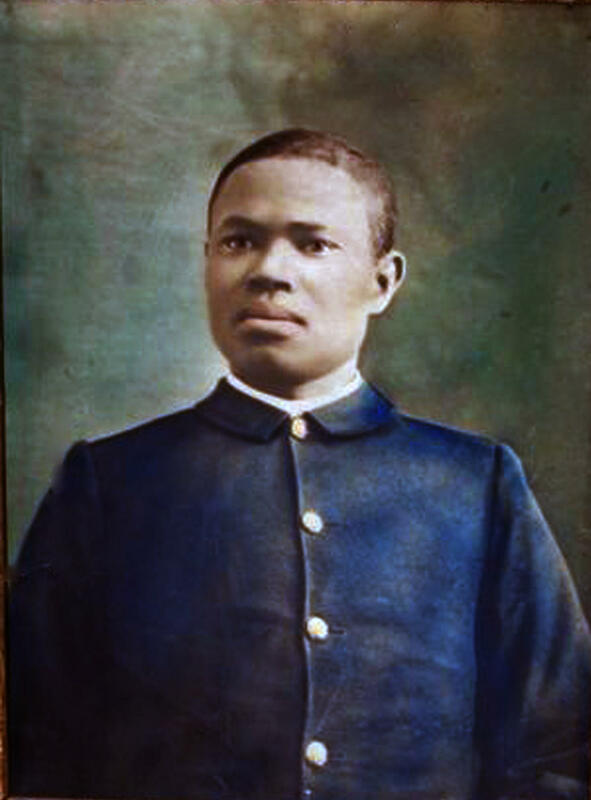 After combat in Cuba, within a year, Fagen is deployed to Manila to fight in the Philippine-American War (1899-1902). It doesn’t take long for Fagen, now a highly decorated combat professional, to defect to the Filipino Revolutionary Army. Hoffman believes he became disillusioned with the mission of the U.S. military in the Philippines. Hoffman explained their job, as they were told, was to get rid of the tyrant and establish democracy and freedom for the Filipino people. Hoffman describes a fight between the well-trained, well-armed American forces and impassioned Filipinos, with little training and very little fire power. 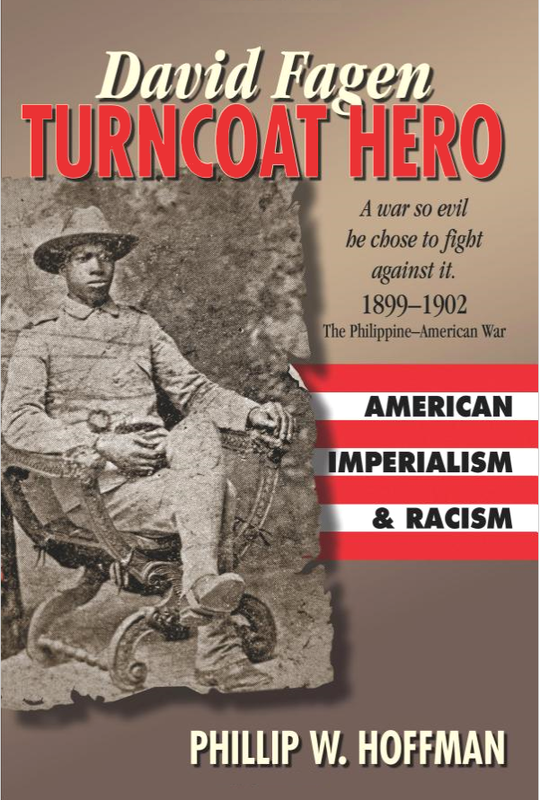 Hoffman explains Fagen and other black soldiers, who had endured atrocities in the American Deep South, began to identify more with the plight of the Filipinos. After six months, he says, Fagen had had enough. Commissioned as an officer, Fagen trained Filipino soldiers and was soon promoted to captain and given his own command. Hoffman says he was very successful as a fighter and achieved legendary status. Author Phillip Hoffman will share details about the book, which is available online at Amazon.com, and his theory of what happened to David Fagen during his Black History Month presentation this Saturday morning. The talk begins at 11 a.m. at the Arcadia Mill Archaeological Site in Milton. On Saturday, Feb. 9, from 11 a.m. - 12 p.m., Arcadia Site Manager Adrianne Walker will present on recent historical and archaeological research on the lives of the enslaved at Arcadia. For more information visit the Historic Pensacola Arcadia Mill calendar of events.